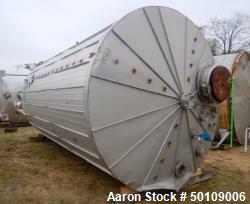 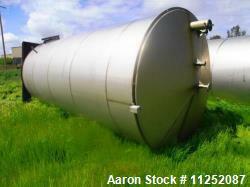 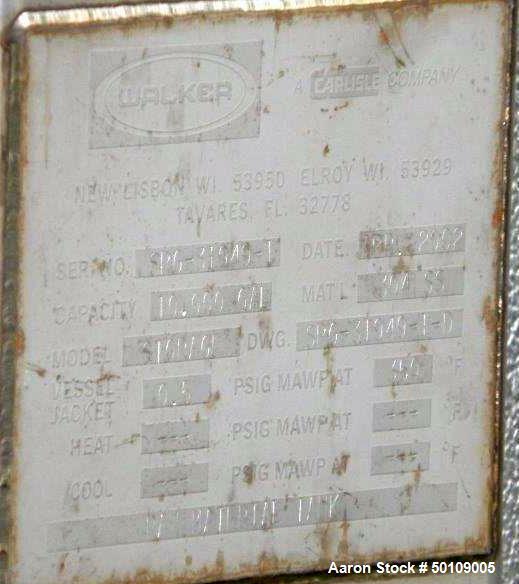 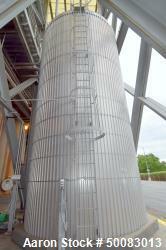 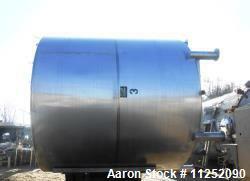 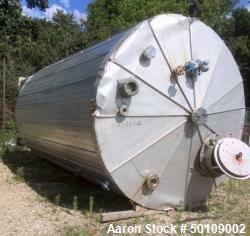 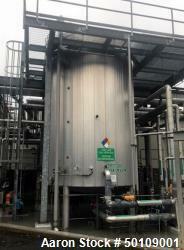 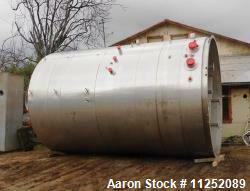 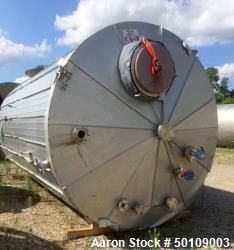 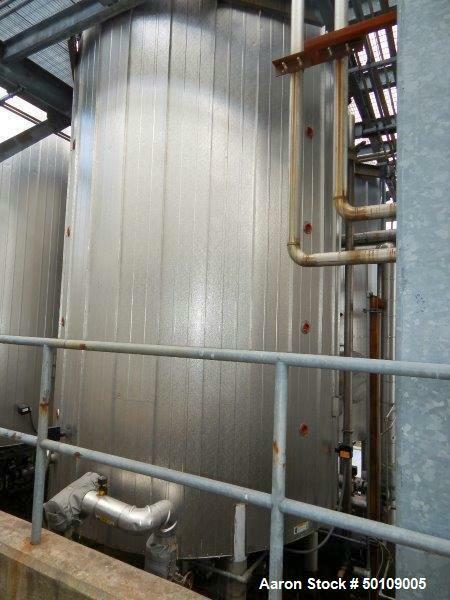 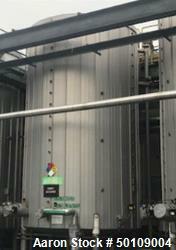 Used- Walker Storage Tank, 10,000 Gallon, 304 Stainless Steel, Vertical. 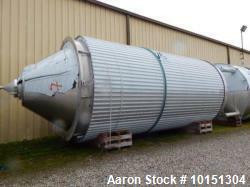 Approximate 120" Dia x 204"H. Slight cone top and bottom. 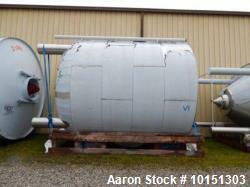 Mounted on (4) legs. 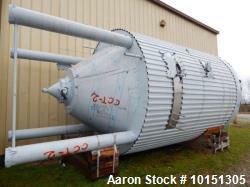 Serial# SPG-31949-1, Built 2002.